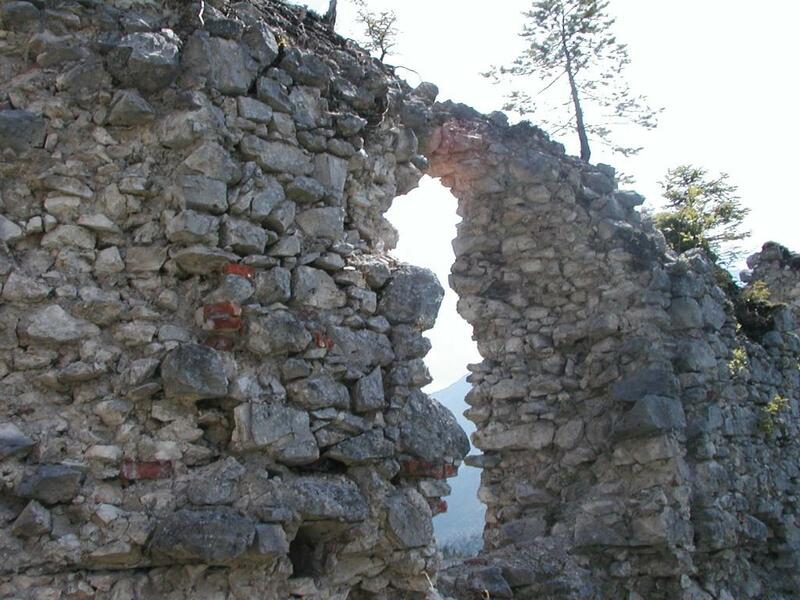 A tumbledown wall at the Ehrenberg ruins. Note the tree growing out of the top of the wall. Photo by Xandie.